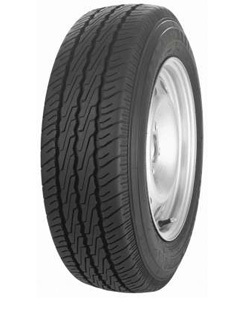 The AV11 is a modern summer tyre designed for vans that record high mileage. Constructed with a specialist compound which strengthens the sidewalls, the AV11 delivers high levels of durability and resistance against kerbing and damage for long tyre life. This tyre is designed with a reinforced construction making it capable to accommodate heavy loads without sacrificing handling and stability. In addition, OptiNoise technology helps to reduce tyre noise for a more quiet and comfortable performance.